Our entire staff would like to happily welcome you to the KENDOV DVOREC. There are lots of parking spaces available to hotel guests. Your pets can stay in the cushy hotel as well. To assist you in having a pleasant stay, the hotel offers you the use of our laundry service. Our hotel is proud to offer you the inviting café - bistro for tasty snacks as well as a high-quality eatery for your evening dining. 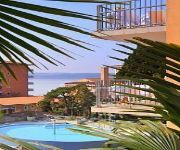 Important Notice YEAR 2013 Swimming pools with thermal water (Terme & Wellness ) is closed from 15.7.2012 till 25.7.2013 Sauna park is closed from 1.7.2012 till 9.8.2013 Swimming pools with sea water (Riviera) will be closed from 1.7.2012 till 12.7.2013 It is an exclusive five-star hotel situated in the very heart of Portorož, right by the sea, offering all the comforts of a five-star hotel. It embodies all the best qualities of a genuine Mediterranean nature, unequalled charm and enchanting temperament. Its hospitality is woven out of its undivided attention to details and its guests’ needs, kindness, spontaneity and creativity. 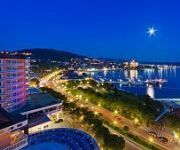 The Grand Hotel Portorož features 180 double rooms and 14 suites. 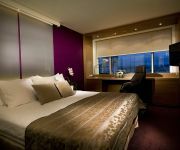 All rooms are modern, subtly designed with soft yet lively Mediterranean colours. There is room enough for small dogs also. For guests wishing to enjoy wellness services in full, there is a variety of massage and beauty treatments to choose from. Business hours of reception: Every day:	from 00:00 to 00:00 . 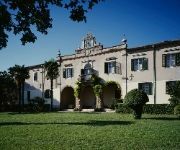 Important notice YEAR 2013 Swimming pools with thermal water (Terme & Wellness ) is closed from 15.7.2012 till 25.7.2013 Sauna park is closed from 1.7.2012 till 9.8.2013 Swimming pools with sea water (Riviera) will be closed from 1.7.2012 till 12.7.2013 The Slovenija Hotel is a modern and elegantly furnished hotel, located on the main seafront promenade. 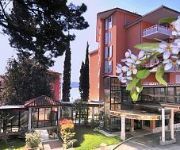 The hotel is known for its Portus Congress Centre featuring seven versatile congress halls and the latest technical equipment. It is an ideal venue for different kinds of events, from business gatherings and meetings to various congress and conference events to banquets and special occasions. The hotel has direct access to the swimming pool complex with heated sea water as well as to the Wai Thai, a traditional Thai massage and natural face and body care centre. Each of the 144 tastefully furnished and decorated rooms and 16 suites has a balcony, most of them offer also a magnificent view of the bay of Piran. 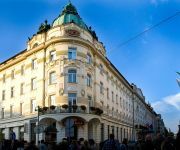 16 elegant hotel suites: 42 m², one or two balconies, living room, bedroom, bathroom, air-conditioning, LCD cable TV, radio, telephone, mini-bar. Business hours of reception: Every day:	from 00:00 to 00:00 . 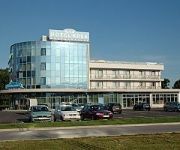 The Trst Hotel is located in the center of Bled, close to the lake. 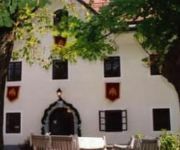 The Hotel is an excellent starting point for hiking tours and excursions to the attractive surroundings of Bled. There is a large car park next to the hotel. 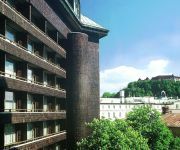 The adjacent Grand Hotel Toplice, its sister hotel, offers a thermal pool as well as a host of wellness programs. A private beach is close by. Alternatively, the newly opened Ziva Wellness Center at the nearby Golf Hotel offers a thermal pool complex, a sauna world and a beauty centre. 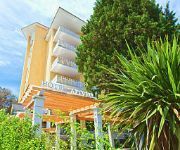 The hotel, which is not far from the center of Bled, is particularly suitable for those who enjoy the comfort and friendliness of a small hotel. The hotel can also accommodate small parties and groups. Most of the bedrooms feature cable TV, direct dial telephone and mini bar and safe and nine rooms have a balcony. Half of the rooms have a view across Lake Bled towards the magnificent Bled castle. Business hours of reception: Every day:	from 00:00 to 00:00 . 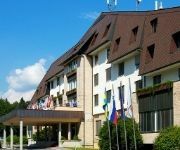 The Golf Hotel is situated in a quiet park right in the heart of Bled and offers visitors wonderful views across the picturesque lake with its island, the medieval cliff-top castle and the majestic Julian Alps in the background. The hotel’s aperitif bar is an ideal place to spend a relaxing moment over a coffee or a cocktail. Guests are also invited to sample the hotel’s superb cuisine. The Ziva Wellness Centre features a thermal swimming pool complex with 380 sq m of water, as well as a sauna centre with a restful terrace and a whirlpool. On top of this, a vast choice of programs attending to the guests’ beauty, relaxation and well-being is available. Bled is the jewel in the crown of Slovenia, famous for its idyllic lake and island guarded by its mysterious medieval cliff-top castle. It is also the perfect place for all those wishing to explore the breathtaking scenery and an unrivalled range of year-round activities. In addition, Bled boasts one of the most beautiful golf courses in Europe as well as a newly opened state-of-the-art wellness centre with a wonderful range of services attending to every need of your mind and body. The thermal baths, the world of saunas and the beauty centre will soothe, relax and rejuvenate you. Business hours of reception: Every day:	from 00:00 to 00:00 .
Business hours of reception: 24 hours The Hotel Krek is within easy reach and located in the new business and shopping center (TNC), in Lesce which is ca. 4 km away from the resort of Bled, at the main-connecting motorway A2 Karavanke tunnel - Ljubljana. It is ideal for business, vacation and for short stays. 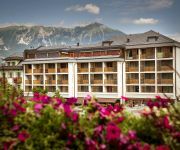 The family-run hotel is surrounded by the beautiful panorama of the Julian Alps and the Karavanke mountain range. The hotel and the restaurant are air-conditioned. We offer 36 brightly, spaciously and elegant furnished rooms including single-, double-, three-bed-, and family rooms for 4 guests, as well as two completely equipped apartments (2 rooms with kitchen). 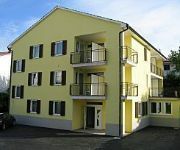 All rooms are soundproofed and dispose of shower/WC, telephone, safe, free internet connection and a satellite TV. Some rooms offer a balcony. In the restaurant (120 seating capacity and terrace) our guests can choose from an extensive offer of Slovenian and International cuisine. In front of the hotel, the underground car park and the parkings for free charge are available for all of our guests. We also offer a meeting room for 80 peoples and a roof terrace. Business hours of reception: On business days:	from 06:00 to 22:00 . We would like to cordially welcome you to the Hotel Brdo. Spa Hotels are easy to find, but they are not all created equal. 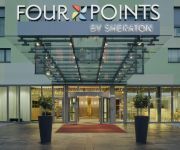 Make the right choice and book a room at this welcoming hotel to enjoy all of its features and benefits! Do you need a car park or secure area to park your bike during your trip? We have heaps of car parking spaces and secure zones for parking bikes of all kinds. Free for you Free parking is available at the hotel. Complimentary late check-out is available at our hotel. Free Wi-Fi in public areas and complimentary access to a computer terminal (with internet) await you at our hotel. Make yourself at home You can leave valuables for safe storage in the hotel safety deposit box at reception which is manned 24/7. Our elevator is available to take you to the upper floors of the well-appointed hotel. Our friendly staff will greet you in the lobby. The terrace in the garden provides a great relaxing area. Culinary greetings from the kitchen Enjoy the evening in pleasant company, with other guests in our lively hotel bar. We also provide a restaurant in the hotel, where wholesome foods as well as diabetic and vegetarian dishes are served. Where you will stay You'll find air-conditioning in all the hotel rooms. We provide our guests cable television with plenty of entertaining programmes that is available in each hotel room. We also provide international newspapers in the rooms. A properly functioning phone is available in all of our hotel rooms. Radios are a standard facility in all of our hotel rooms. Relax or be active Find peace and relaxation in our jacuzzi and sauna. Energetic guests enjoy the hotel's well-equipped fitness room. Horseback-riding is one of the leisure activities provided at the hotel. It's very well-liked among our visitors and is a great opportunity to share some fun-filled moments with your family and friends. There are trails provided in the hotel for you to take a break. Just grab your co-travellers and go for a walk. Business hours of reception: Every day:	from 00:00 to 00:00 . 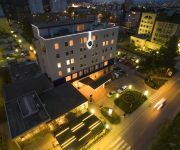 The Garni Hotel Keltika is located in the pleasant surrounding of the area Jagodje, within 300 metres distance to the beach “Simonov zaliv” in Izola. 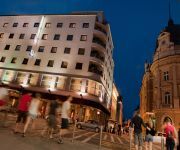 The hotel was opened in July 2005 after a complete renovation. We are pleased to offer our modern premises and we will do our utmost to satisfy the wishes of our guests. Both business and holiday travellers will feel comfortable. The rooms provide shower and toilet, hair-dryer, air condition, heating, satellite TV, refrigerator, safe and wireless internet connection. Most of the rooms have a terrace or balcony. We can offer a small conference room (for up to 25 people) and a private car park. A daily reception and a breakfast buffet are also available. 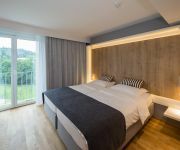 The visitor´s tax per person and per day amounts to € 1,10 Business hours of reception: On business days:	from 08:00 to 20:00 On the weekend:	from 08:00 to 20:00 .
Business hours of reception: 24 hours The hotel “Slovenj Gradec” is located in the town Slovenj Gradec in Slowenia. In proximity of the hotel are several sport facilities, a wellness- and exercise centre and further entertainment and leisure facilities. The hotel provides 68 rooms appointed with shower and toilet and hairdryer, telephone, TV and a lot amenities more. 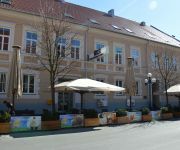 The hotel also has a restaurant with 200 seats, a coffeehouse the pub “Kärntner Stube” with 30 seats, and a bar. Slonenj Gradec offers excellent facilities for winter sport. Business hours of reception: On business days:	from 07:00 to 22:00 On the weekend:	from 07:00 to 22:00 . 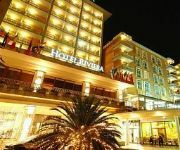 We would like to gladly welcome you to the Park Sava Hotels & Resorts. Golf Hotels are plentiful, but this one is a prime example of its type. 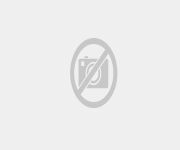 It has all of the advantages you would expect, and more. Our hotel offers plenty of parking spots for its guests. 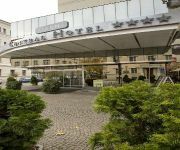 If you are arriving by car, we have free parking directly at the hotel. A free internet terminal and free Wi-Fi service is provided to guests. Make yourself at home You can leave articles of value at the safety deposit box at the hotel's reception. Our lift is available to take you to the upper floors of the comfortable hotel. The lobby is under constant video surveillance. Culinary greetings from the kitchen Enjoy the evening in pleasant company, with other guests in our lively hotel bar. We also provide a restaurant in the hotel, where wholesome foods as well as diabetic and vegetarian dishes are served. Where you will stay At the hotel you'll also have a desk in your suite. In all of the hotel rooms you'll also find satellite TV. When visiting us, our guests are supplied with pay TV with plenty of entertaining programmes in all our hotel rooms. A minibar stocked with numerous beverages is present in every room. All the rooms at our hotel include a convenient telephone. While unwinding in your room you can turn on the radio and listen to some tunes. Bathrooms with a bath are a standard feature in our hotel. The room's bathroom includes complimentary bathrobes that come in handy after a nice, long shower. Relax or be active Relax and kick back whenever you feel like in the sauna and jacuzzi. The sun studio allows you to refine your tan even on cloudy days. Our hotel also provides you with your own sauna. Energetic guests are invited to use the fully equipped fitness room. Business hours of reception: Every day:	from 00:00 to 00:00 .